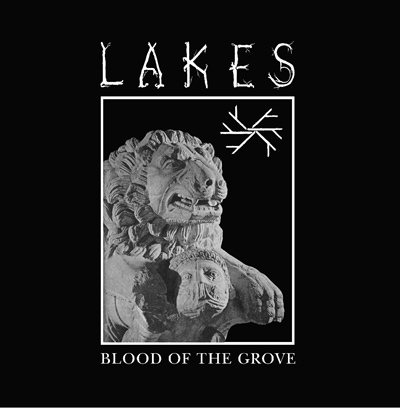 Black and grim, Sean Bailey AKA Lakes spills bitter blood on this charged album, titled ‘Blood of the grove’. On these ten tracks Bailey takes us across the lakes of abandoned hope through a dark combination of folk music and post punk hymns. The vision set on this album lets each song emerge in a cavernous feeling of an agoraphobic live performance, more dynamic and real than any studio recording. Lakes make every painful ballad memorable, mainly because when Bailey sings, I believe him and I believe in what he is feeling and saying. The music, merging Death in June and Joy Division together in unholy ceremonies, is always catchy, yet it stings with bitter poison that is the singing that is running up and down the veins, scratching its nails in defiance on the cell walls of my blood vessels. However masochistic this joy is, ‘Blood of the Grove’ is a fine album, one in many that comes from the arms of the label AVANT!.